The yearbook elective may have declining class numbers, but they have determination to complete this year's yearbook! 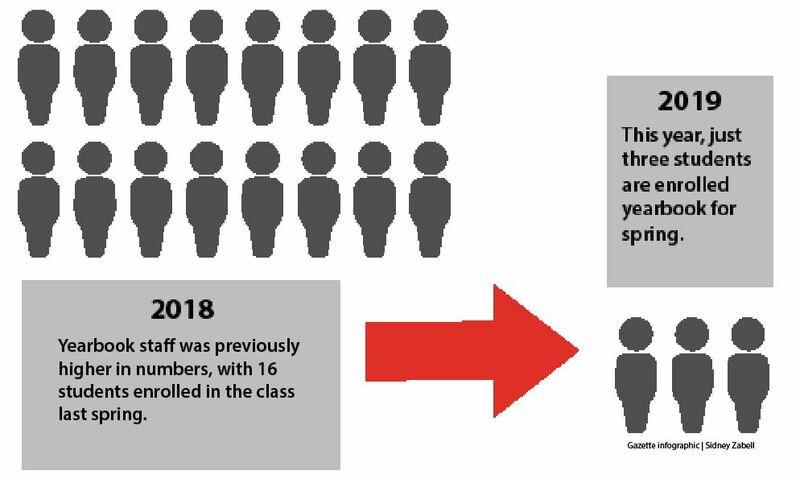 The Ursus yearbook staff currently consists of just three students, compared to the typical spring staff of more than 20 students. After combining with the Introduction to Journalism class, there are now 17 students – 14 intro journalism students and three yearbook students – working collectively to complete the 2018-19 yearbook. Yearbook teacher and adviser Bernadette Cranmer said the size of the yearbook class and other electives at Granite Bay High School has decreased sharply, especially among upperclassmen, as a result of their determination to take weighted classes in the race to finish with the highest possible class rank. 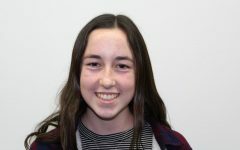 Junior Ashley Altmann, a yearbook student who plans to become the staff’s editor in chief next year, agreed that many students are pressured to take more weighted classes, but she also thinks some students can’t handle the workload of the yearbook class. “I do think many people are wary of the class due to the workload, which is a lot, but fail to recognize that if more people signed up, the work for each person would be more evenly distributed and easier,” Altmann said. Some former yearbook staff members said they decided the tasks and the stress involved in taking yearbook weren’t for them, and that the class was different than they anticipated. Cranmer said if yearbook were to count as a visual and performing arts class, more students would consider signing up for it. Cranmer is working hard to ensure a high-quality yearbook is completed, even with so few staff members. This would be even harder to achieve if it weren’t for the great deal of assistance the yearbook staff has received.